While “Did you know” pages and the likes are visited by large numbers of curious individuals, they can be unreliable, regularly featuring inaccurate or even wrong information. 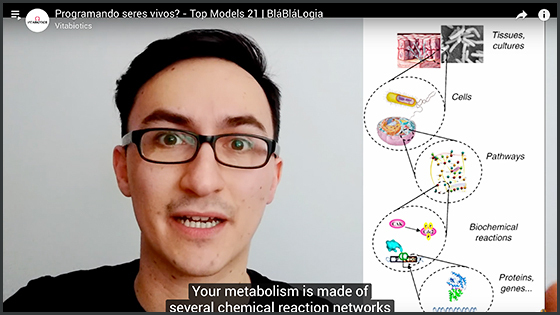 BláBláLogia tackles these issues by providing scientifically accurate content on YouTube which is directed at a Portuguese-speaking audience. Set up in 2016 by an international group of scientists, including Chico Camargo, DPhil student at Brasenose College, the channel features daily videos on topics such as creation myths of different civilisations, the physics of sci-fi videogames and animals that once inhabited the Earth. A number of weekly shows is run by different scientists based on their area of expertise. In this way, BláBláLogia makes the natural sciences accessible without straying from the facts. The channel aims at educating while being entertaining. It is growing rapidly: more and more scientists are participating in making videos and the channel is now extremely popular with more than 140 000 subscribers from a wide age range. In 2016, YouTube recognised BláBláLogia’s uniqueness with its NextUp prize. I can say it is delightful to have tens of thousands of people excited about the ideas behind the tools we use in science. Chico Camargo, DPhil student at Brasenose College.